I completed my fifth review of The Cheshire Cat’s Grin. A story which focuses on a young flapper who falls for the wrong man. There were 34 modifications made to this 5 page chapter leading to a 9% increase in changes when compared with revision four. I have completed my second review of The Cheshire Cat’s Grin. 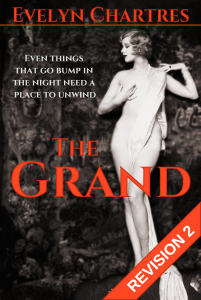 A story which the focuses on a young flapper who falls for the wrong man. There were 188 modifications made to this 5 page chapter. Overall, this revision concentrated on improving the chapter’s readability. Several modifications were related to formatting and maintaining consistency.